I USED to dream about owning a Canon or a Nikon. It's a great time to be a photographer. From beginners to seasoned professionals, we have consecutive exciting cameras that come out on a regular basis. 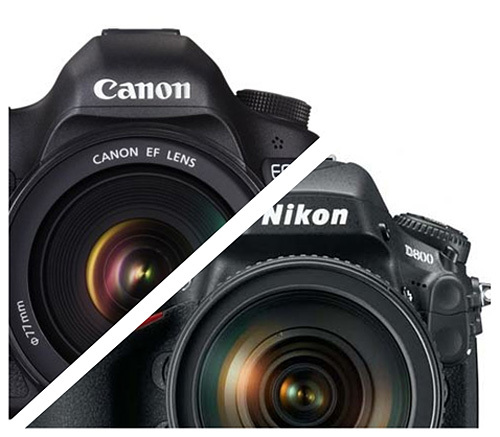 DSLR or Mirrorless. It's pretty amazing. Come on, in less than 2 years, we had the Olympus OMD EM1, the EM10, sony blessed us with the A7s series, RX series,Fuji with the XT1, Pentax K3... just to name a few. Yeah, I did not cite canon or Nikon among those, you know why? Don't get me wrong, If you're a sport photographer, the canon 1Dx is the way to go,and whatever the nikon equivalent of it. But beside those, What else? What else? It's dry out there. Canon 1200D? same ol samy. The 6D, beside the autofocus in low light, what else? the list goes on and on. What camera did they release, that "wowed" us. Nothing, not a f*cking thing. Nikon tanked with their Df. Once again don't get me wrong, they released average to good cameras. But nothing exciting. 4-5 years ago, I wasn't even paying attention to Olympus, today, I'm excited about every announcement they make. I've always like sony cameras; many of those who were bullying Sony, have hopped on the Sony wagon. They relased consecutive hot cameras, with new design, innovative softwares. Come on, think about focus peaking, face detection, all of these things. INNOVATION THAT HELP YOU TAKE BETTER IMAGES. I'll probably get some heat from the die hard Canon and Nikon fans, but I do not even care at this point; I just speak my mind. I hope we'll get some pretty amazing cameras from Canon and Nikon soon. In fact I want them to push the envelope. That will only be beneficial to us photographers, beginners or Pros. I WANT to dream about owning a Canon or a Nikon.